You are here: Home / Roofers Vancouver / Does Your Home Need Roof Ventilation? Presence of excessive heat in your home is a clear sign that you badly need to invest in establishing roof ventilation. 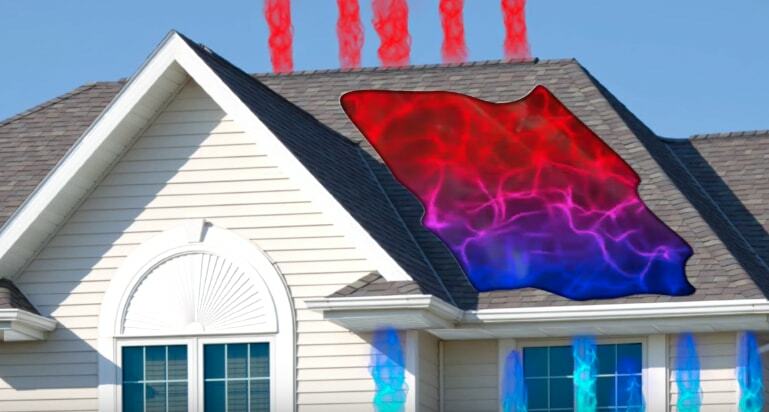 Roof ventilation ensures that excess heat from the sun leaks out of the house. Without functional roof ventilation, the heat accumulates in the house and strains the air conditioner to work harder. At Cooper Roofing, Vancouver inspects the attic for rain or storm or even snowfall induced leaks. Attic leaks are common in houses without sufficient shingle underlayment or deteriorated flashing. We will tell you the state of your walls and ceiling when roof ventilation is needed. Mold growth and conspicuous stains on walls can be clear indicators of the need for roof indicator. Stains and mold growth can be brought forth by deficient or defective underlayment which allows water seepage into the house. The excessive moistures create an excellent environment for bacterial and mildew growth. Our company also looks for signs of rust. Moisture is the chief facilitator of rusting on metallic parts of the roof. Rusting can lead to loss of shingles and damage plumbing and venting duct straps. The affected parts eventually fall off if unchecked. In a nutshell, there are more than one indicator factors we look at when determining the need a ventilation system on your house. We recommended that the client check the roof as we administer other roofing services such as those involving the gutter, and siding repair. Proactive measures can save a lot of money. Hire our Vancouver roofing services and see the difference.